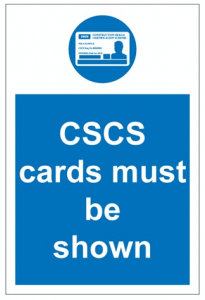 The CSCS was established in 1995 and has been growing the number of CSCS Cards it issues year on year. It has issued almost 1.9 million cards. Its purpose is to provide the assurance that individuals working in the construction industry have the right training and qualifications to do their job. In September 2016 CSCS handed over responsibility of structured network engineer cards to ECS which is a partner organisation. Partner card schemes are based on the same standard as CSCS requiring the holder to gain an NVQ and pass the health & safety test. CSCS will continue to issue the Communications Installer Gold Card until January 2017 and all new CSCS card applications for data and fibre engineers will then have to be made to ECS. Do you need a CSCS Card? If you work in any part of the construction industry then the answer is yes. More and more sites and businesses are now demanding that anyone working with or for them holds the appropriate CSCS Card. There are a number of different CSCS Cards available but it is important that those working in the construction industry get the right level of card for the job they do. As well as getting a vocational qualification at the right level, you will also need to complete the CSCS Health and Safety test. Once you are in possession of both of these you will be eligible to apply for your card. What are the benefits of CSCS Card? CSCS Cards provide huge benefits for both individuals and businesses. For an individual, it demonstrates that they have the right skills and qualifications to do the job. This makes them much more employable. More and more construction jobs now insist that workers are in possession of the right CSCS card. Making sure all staff have CSCS cards is also important for businesses. It demonstrates a commitment to the staff and their training and development. It has also become much more important as many more tenders are asking for evidence that all staff hold CSCS Cards. If you need more information about CSCS Cards then please call us or visit the CSCS Card or ECS Advanced Datacomms Specialist sites. VQ Training has worked with nearly 400 structured network engineers across the UK supporting them in getting the necessary level 3 qualification to be eligible for either the CSCS Gold Card – Communications Installer Team Leader or the ECS Advanced Datacomms Specialist. Gold cards are the most appropriate cards for structured network engineers as allows them to work on any site. It also allows them to be able to supervise more junior engineers that are developing in their careers. VQ Training provides an online system that allows engineers to build a portfolio of evidence which demonstrates their skills and competence. It is completed by engineers in their own time, they have no need to attend a college course and it can be completed as quickly as an engineer can build their portfolio.